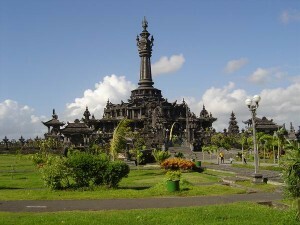 Denpasar is the capital city of Bali Island, where this is the main governmental and economical base of Bali province. In the past, this city was known as Badung city and become the capital of Badung regency until finally being inaugurated to be a metropolitan city. Based on history, Denpasar was the capital of the kingdom of Badung. It was conquered by the Dutch during the Dutch intervention in Bali (1906). The royal palace was looted and razed by the Dutch, leaving today’s central square of “Taman Puputan” in which a statue to the 1906 Puputan War can be seen. Denpasar is a bustling, multi-cultural city, and there is a lot of temples, palaces and museums and its occupants are outstandingly friendly. This city has huge collection of precious landmarks like Alun-Alun Puputan, the Palace of Satria and the Royal Temples, Pura Maospahit and Pura Agung Jagatnata. If you want to learn the diverse culture and history of Denpasar you can visit the Taman Wedhi Budaya Cultural Centre, the Sidik Jari Museum and the Bali Museum. Nature lovers will be interested in visiting the GWK Cultural Park and the botanical garden, as well as the beautiful beaches in Kuta and Sanur. Denpasar is centrally located and easily reached by car or taxi from the main tourist regions of south Bali. A trip from Kuta, Legian and Seminyak will take 20 to 30 minutes depending on traffic. Sanur is just 15 minutes to the east and Ubud about 30 minutes to the north. Tabanan is about 40 minutes to the northwest.